Unfortunately we weren’t really told what we were eating, but nonetheless, here’s a few (moodily-lit) pics of the food from the Vietnamese/Cambodian/Thai mash-up and our best guess at what they were! 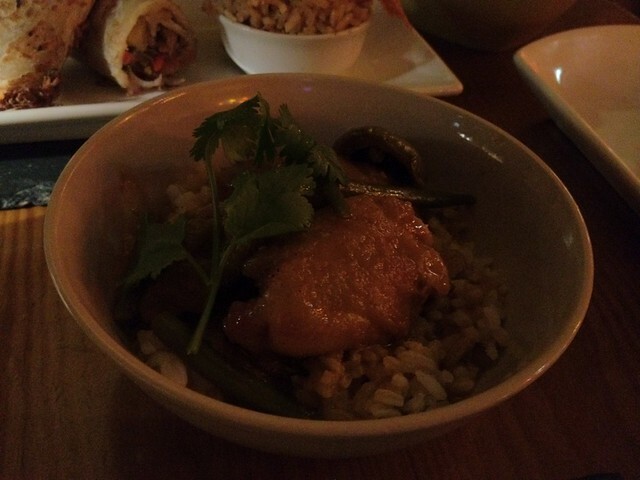 Vietnamese chicken curry – not the greatest fan of lemongrass but this was gorgeous. 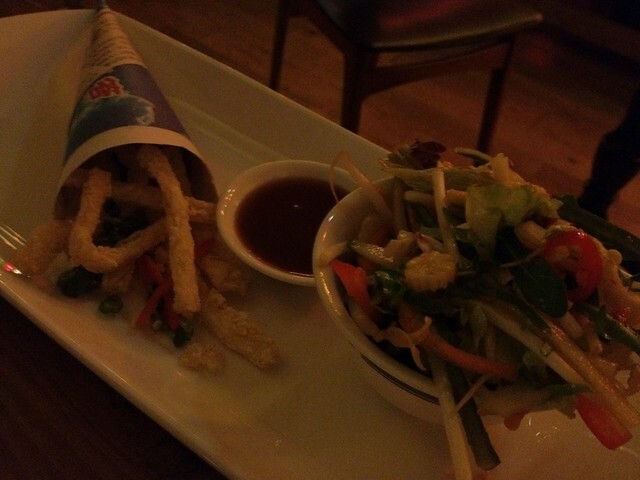 Salt squid, sour sauce, fresh and hot salad. 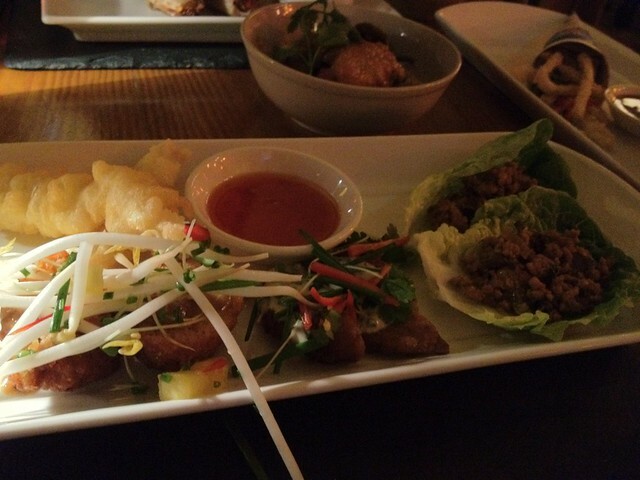 Chicken goujons, red curry rice balls, potato cakes, lettuce beef wraps, sweet chilli sauce. Some amazing flavours on here. For this year’s Chinese NY, Electric East are offering a tapas menu which looks tempting – hopefully they’ll keep this running as a pick and mix of the different cuisines is very inviting. Hopefully this is a sign of things to come from Electric East – really fresh and vibrant food – even better than we had last year at Barn Asia. 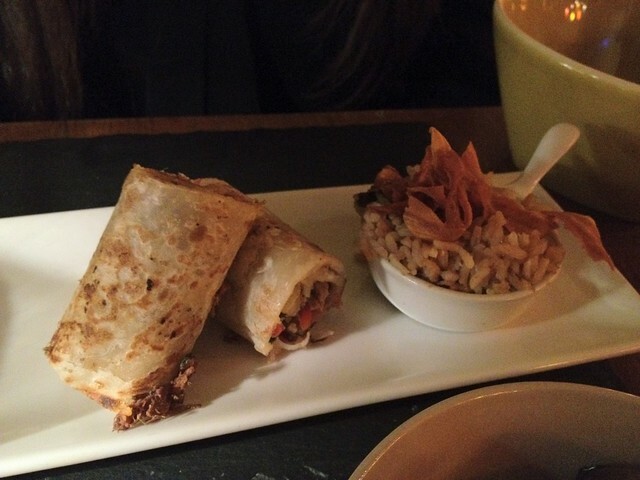 They are participating in next week’s Newcastle Restaurant Week offering three courses for £10, and you can’t go wrong at that price really. A great buzz about the place as always, so if you’re curious about what’s on offer, or lover of all things pan-asian, get yourself along for some great (spicy!) food.